If you’re looking for laptops or computers for healthcare you'll need value for money and reliability. This is where refurbished computer systems, an outstanding range of spare computer parts and an efficient repairs service can all play an important role. It's no secret that the NHS is stretched and that costs are being kept to a minimum wherever possible. IT is just one of the backbones of the NHS and it's critically important that it works effectively in order to support a smooth running healthcare service. If your healthcare computers are not running properly and not communicating across departments, buildings and trusts it really could mean the difference between life and death. So, how do you strike the balance between purchasing reliable computers for healthcare, that work consistently across a range of locations, while saving money and keeping costs to a minimum? We are perfectly set up to support the specific needs of the healthcare sector - both private and NHS. To discuss replacing and upgrading your current IT suite, please call our team on 01428 707900. With a tight budget and old hardware the IT Business & Support Manager at Aneurin Bevan University Health Board: NHS Wales, had to upgrade the IT estate - servicing around 12,000 staff users of computers, including hospital admin, doctors and nurses. 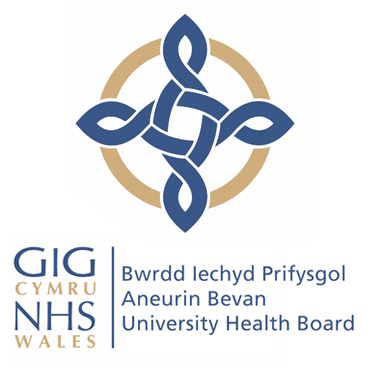 To find out how the team made a saving of over £160,000 read our case study here - Aneurin Bevan University Health Board: NHS Wales. If you buy a refurbished computer, laptop or server from us you'll pay up to a staggering 80% less than buying brand new. You'll also receive a one year warranty for peace of mind. By buying refurbished computers for healthcare you'll stretch your budget far further, helping you to hit your cost cutting targets while keeping your IT running like new. 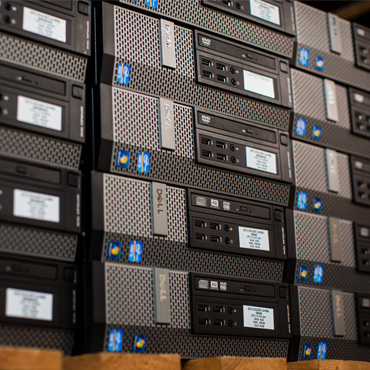 Find out more about our refurbished computers, servers, and laptops for healthcare. 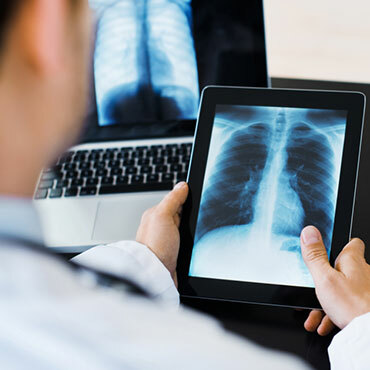 Healthcare organisations often have highly capable IT teams who are able to extend the lives of their computers, laptops and servers by sourcing and replacing spare computer parts. If you are looking for spare parts for your Dell and HP hardware we are able to supply over 20,000 spare computer parts so you can get the job done yourself. We also stock spares for many other brands. Find out more about our computer parts availability. Maybe you just need a company to repair your broken servers, laptops or computers. 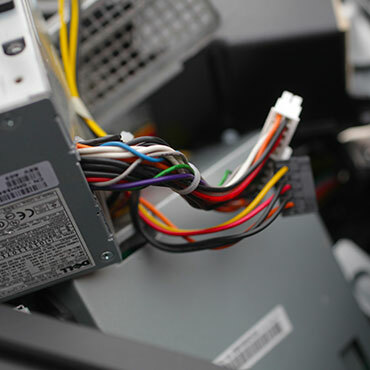 We are pleased to be able to offer healthcare customers a simple and fast repairs service from just £50 - meaning that your critical IT systems will be fixed and returned to you, normally within five working days. This will reduce your financial outlay for new IT equipment. Please contact us for more details on our repair services and how we can help. We have an in-depth knowledge of Dell, Apple, HP and Microsoft technology as well as many other well known brand names. If we don't have what you are looking for in stock please contact us - the chances are we'll be able to source exactly what you need. Our 4,000ft² facility is dedicated to testing, stocking and supplying systems, spare parts and computers for healthcare and other sectors. We have 20,000 items in stock to support all Dell, Apple, HP (and other) equipment from laptops to servers. Our purchasing team ensures that our prices are competitive and there is always an extensive range of laptops, desktops, servers, monitors and accessories ready for immediate despatch. We are also a Microsoft registered refurbisher. To benefit from our services and to see how much we could save you on high quality refurbished computers for Healthcare, please call us on 01428 707900. We can arrange same day deliveries and once the purchase order is complete, payment is easy.